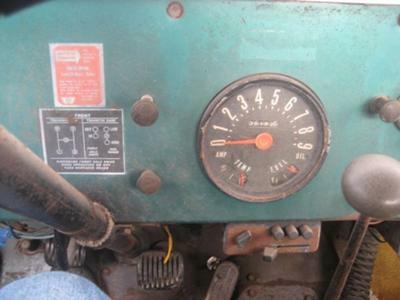 An old friend had this 55-71 CJ-5, and he turned it into a train engine with a cow guard, smoke stack, and plywood body. His son was about to tow it across the scales (to sell for scrap). 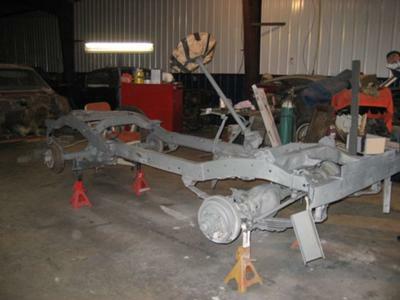 I have had it stripped to the frame, rust removed, and steel reinforced in the bad areas. 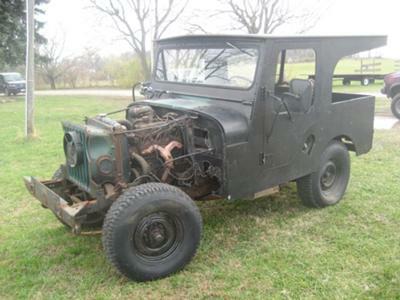 I still have the windshield, engine, transmission, and seats, but need to put it all back into working order. It's a mess, but really exciting. Larry's Comment: Heidivie...looks like you're off to a good start. The cleaned up frame in the last photo appears to be in pretty good shape. 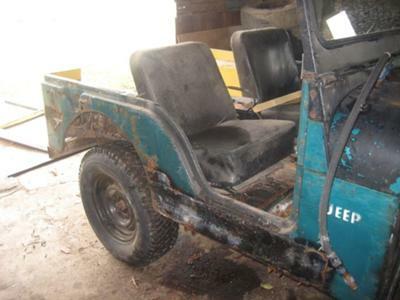 Please keep us up-to-date with your CJ5 project.